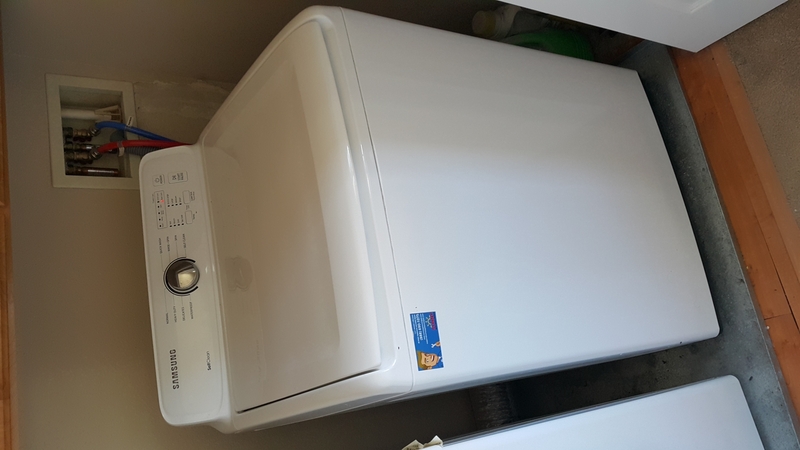 Another customer called us because his Samsung WA40J3000AW/A2 washer started leaking. Luckily, he had a drip pan underneath the washer and the dryer so the water was not leaking on the floor and instead going down the drain hole. 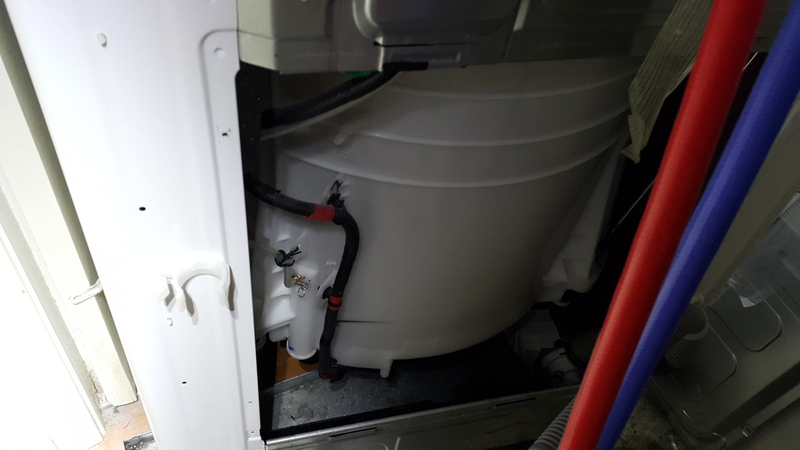 Our technician moved the washer and removed the back panel. 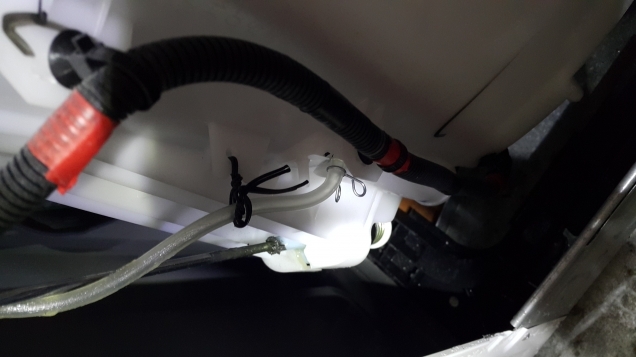 He noticed that the pressure switch hose got disconnected from the tube. 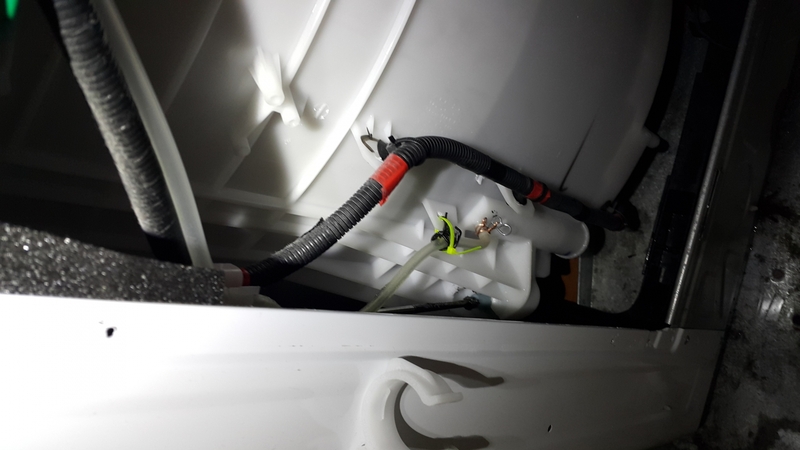 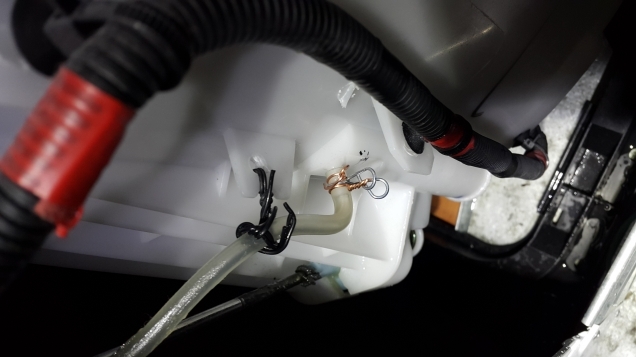 He connected back the pressure switch pipe and the washer stopped leaking right away.